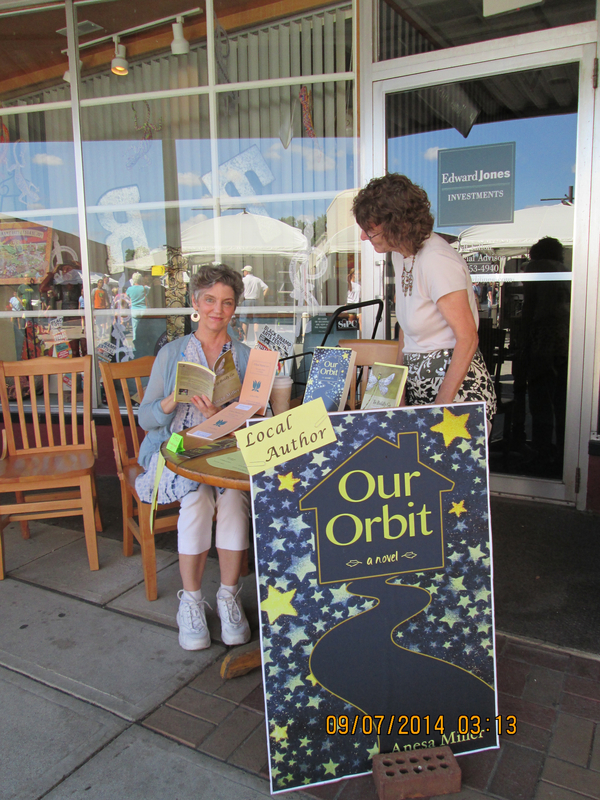 Many, many congratulations upon your reception at the Black Swamp Arts Festival and the burgeoning success of ‘Our Orbit’. Besides being a fine writer you are clearly hard working and highly focussed, much like my indomitable and ever so patient mentor & tutor with whom, I know, you would have much in common. We were exchanging texts last week upon matters in The Gaza Strip and E.Ukraine but he kept interrupting the narrative to correct me on historical facts and imploring me to modify my opinions in case, ‘ … any of this stuff is recovered from the archive and published when you’re gone’ as he put it. ‘You can’t be too careful’. He maintains a healthy tension in the relationship which I tend to think is good for my output and he knows damn well IS given my proclivities! However, in you, it’s just nice to know a real life, real time novelist with whom I have the privilege of corresponding with and trust you will accept this ditty in the spirit in which it’s offered. She’ll be bound for the Pantheon, God bless ‘er! Fred! I’m so honored to become the subject of a limerick (and a non-obscene one, at that)! You and your tutor (a co-substantial alter ego, perhaps?) are always welcome on my website. Thank you once again for stopping by to share your sense of positivity and perseverance…although the tutor no doubt has a more precise term to suggest?